Charleston church shooter Dylann Roof has allegedly written a racist manifesto in which he was unveiling why he “chose” his target. The text surfaced as Roof’s website detailing his racist stances appeared online. The webpage appears to also feature a zip file that contained photos of Roof, posing with a gun and burning an American flag. In what the media has dubbed Roof’s “manifesto,” the suspected killer of nine people is speaking at length about what led him to carry out the massacre. Roof apparently launched a website called Lastrhodesian.com where he explained how he was radicalized, why he chose to attack Charleston church and why he was spat on the United States flag in the photos. According to the South Carolina shooting suspect, the event that influenced his decision to go on a rampage was the case of Trayvon Martin, a 17-year old Afro-American from Florida who was fatally shot by George Zimmerman, a neighborhood watch volunteer, in 2012. He said he read Wikipedia article about Martin case and was “unable to understand what the big deal was.” He said that he concluded Zimmerman was right to kill Martin. He divided his racist text into several sections which detailed his feelings about different races, such as African American, Jews and Hispanics, as well as patriotism. At the end Roof gives "an explanation" of why exactly he chose Charleston church. Someone “has to have the bravery” to take the city “to the real world and I guess that has to be me,” writes the shooter. The authenticity of the site has yet to be confirmed. 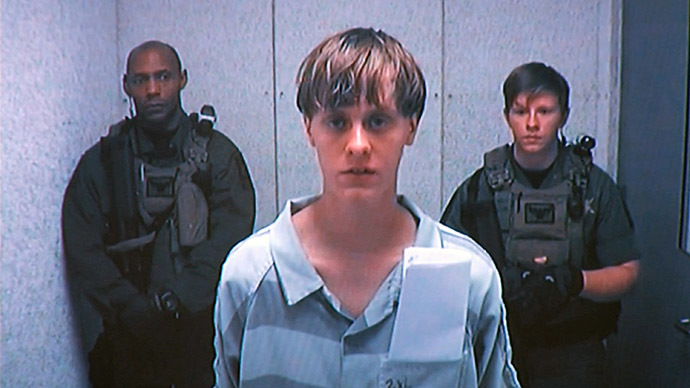 Reports claim that the South Carolina shooter bought the site domain back in February 2015. The discovery was apparently made based on a reverse domain look-up service that found someone using the name Dylann Roof. The racial manifesto surfaced on Saturday as crowds flocked to Charleston to pay tribute to the nine victims – six women and three men – of the church massacre. People gathering near Emanuel African Methodist Episcopal Church carried placards and signs conveying words of solace and frustration over the heinous act. The name of the website – lastrhodesian.com – could also explain his Facebook photo which shows Roof wearing a jacket with a patch of the Rhodesian flag. Rhodesia was the name for the African country currently called Zimbabwe when it was still ruled by a white minority population. Power was transferred to the black majority in 1980, when the country was renamed.